Cyber Monday deal: Save on five-star Sony WH-1000XM2 wireless headphones | What Hi-Fi? There are already plenty of headphone deals to take advantage of as we head into Cyber Monday, but this Sony offer is one that sticks out in particular. 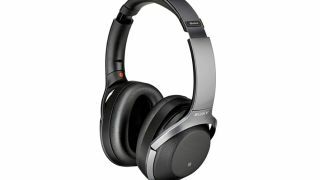 Sony's WH-1000XM2 wireless, noise-cancelling headphones have been reduced to £199. They started out life at £330 but in recent months have been closer to £250. This Black Friday deal sees them dip below the £200 mark at Richer Sounds, John Lewis and Currys. At this price, they deserve serious consideration. Yes, they've been superseded by the WH-1000XM3 model in recent months, but this doesn't make the XM2 version any less desirable, especially at this price. Build quality and comfort are excellent, as is Sony's noise-cancelling. Battery life ranges from 20 hours to 38 hours depending on the features being used. And what about sound quality? Given they're a five-star product it goes without saying we think pretty highly of them. In our review we refer to The Sonys as "a musical package that maintains your interest at all times and keeps you coming back for more". Don't forget to keep an eye on our main best Cyber Monday UK deals page, so you're up to speed with all the best savings.